On a cold rainy day full of child activities and errands pulling into my drive and seeing this adorable little box propped up against my door was so exciting. I knew even though I was exhausted and wanted to crash coming home wouldn’t be stressful, and we would have a blast opening up our package! BK#1 absolutely LOVED opening up her package. She got even more excited when she saw that it was wrapped up like presents. Christmas made our little threenager a PRO at opening gifts and very much aware of “presents” and meaningful gift giving! After we opened the box she exclaimed “Oh mommy, you got me a gift! I love it”, and she didn’t even know what was inside! 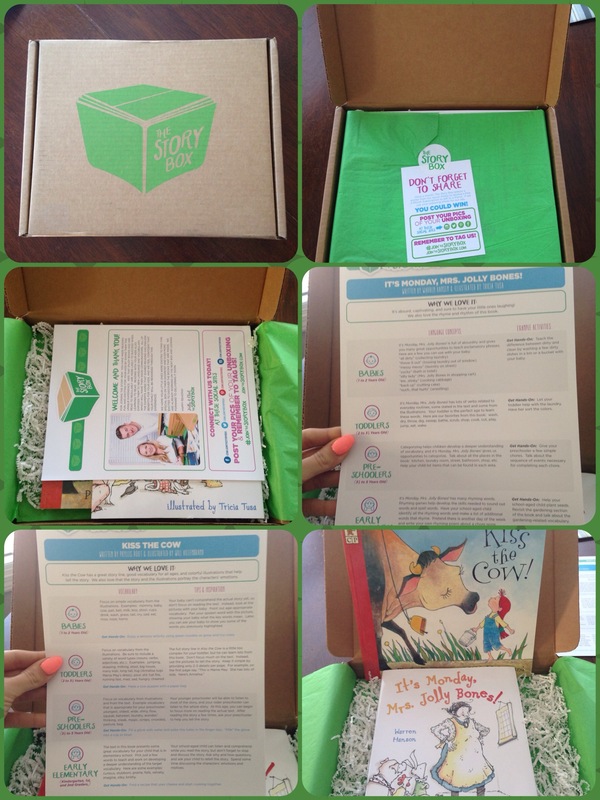 Bookroo is a monthly subscription box for you children. It is unlike any other subscripton box on the market right now. Not only is it a fabulous deal, but it is a company with a purpose. Bookroo helps the world at with their recycled (and recyclable!) packaging and their commitment to giving back through donating children’s books to children in need through Reach Out And Read! The moms and owners at Bookroo’s mission is to enable and empower parents to build their children’s book collections in an affordable and exciting way through curated monthly book deliveries. They believe in the power and impact of the written word in the life of a child, and believe it’s never too early to start reading to children! According to the US department of Education reading to/with your child 30 minutes a day improves their intelligence greatly. Reading improves (future) academic performance. 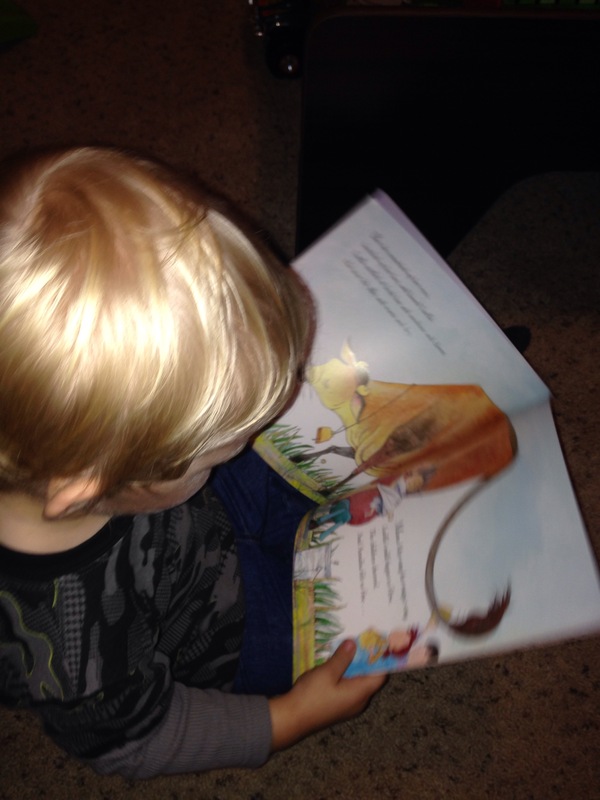 One of my new year resolutions was to read to my children more, and Bookroo is just another way to make sure that happens in a new and exciting way once a month! There two types of boxes: Picture book boxes and Board book boxes. And there are 4 different packages and pricing rates. If you have children in two age groups you can simple tell Bookroo and they will alternate your boxes so you get something for each child every other month. YOU CAN’T BUY BOOKS AT THE STORE THIS CHEAP! Even if you only do it one month at a time you are getting at least two hardback picture books for $8.95 a piece. I am seriously thinking about doing the year long subscription getting 24 book for $7.99 a piece. Not only are you getting books delivered to your door, but you are giving your child a reason to be excited about books and reading! I am 26 and I know I love getting packages, my toddlers love it 100 x’s more! Each box contains either 3 board books or 2 picture books and the combined retail value of the books always exceeds the subscription price! The books are always a surprise and hidden gems. The books they send out are extensively reviewed by a panel of 12 families attending Stanford University and their combined 22 kids. They rate each book on a 7 point scale and on its re-readability. Books that emerge as clear winners are sent out in the Bookroo boxes. We received Sleepytime Me by Edith Hope Fine and Penguin Cha-Cha by Kristi Valiant. Sleepytime Me – A sweet little nighttime book with easy- to- learn phrases and gorgeous pictures to relax and get ready for bed! If I had to rate Bookroo on a scale of 1-5 stars they would 100% receive 5 stars! This subscription and company is amazing! I cant wait till February’s box! IF YOU WANT A DEAL USE THE CODE : AMANVELA to get $10 OFF! Be sure to follow Bookroo on Facebook, Instagram, Twitter, and Pinterest to stay up to date on everything they are up to. If you know me, then you know I love saving money and subscription boxes. Being a stay at home mom, and on a very tight budget because of having only one income, it’s not often that I am able to splurge on something for myself. Not only that, I generally have a hard time forking over money to buy something for myself when I could use that money to buy something for the kids, my husband, or something we need at home. I’m certain I’m not alone in this, so I reached out to an amazing subscription box company called Ivory Clasp to review their service and products. I am so excited to share them with our readers! Start your subscription by taking your style quiz here! Be su re to follow Ivory Clasp on Facebook, Twitter, and Instagram, too! Holly and her husband Clint, of The Story Box, were kind enough to send a free box to C for review. Holly is a speech-language pathologist and reading is a very important part of her life and job. However, as parents, reading with our children not only gives a boost to the learning process but it also allows for some bonding time. Holly and Clint also use a portion of each subscription fee ($21.99) to donate books or other materials to benefit at-risk children or children with literacy disorders. Downfalls are few and far between, because face it, it’s a box…of books…how could you not love it? However, what I didn’t love was the paper-ziggy-zag-frilly-makes-more-of-a-mess-than-it-is-worth confetti in the bottom of the box. Definitely not conducive to a 2.5 year old. I also wasn’t thrilled with the box design itself. I honestly expected to see brighter colors or more design to the box to intrigue children or get them excited from the start, essentially it get’s thrown away so it’s not a terribly big deal, but C wasn’t even interested in the box initially. On top of donating books to those in need, The Story Box was kind enough to offer a coupon to all of our BurritoBuzz followers! When you subscribe use coupon code BURRITOBUZZ for $10 off! This coupon will be good on December 20th, 2015 and, like most, cannot be combined with any other offers and cannot be used by the same individual more than once. Definitely a 5 out of 5 and I will sneak in an extra star for giving back to the community!